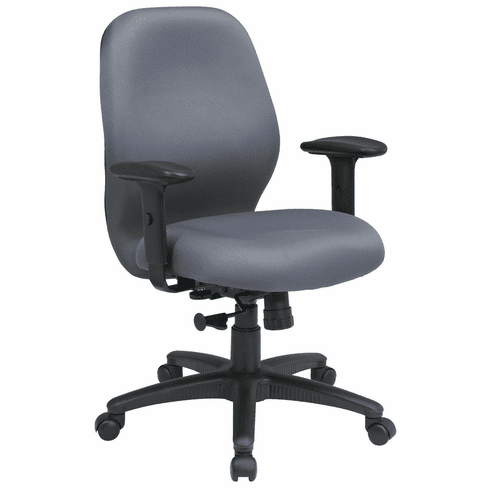 Mid Back Computer Task Chair by Office Star  Free Shipping! Office chairs do not have to be as complex as we like to sometimes make them. Keeping it simple with a fabric office chair is often the way to go. People who do this can enjoy the relaxing posture of their choice while they are getting their work done. Benefits from furniture like this are critical to employee morale. this chair meets or exceeds ANSI/BIFMA standards. Seat Height: 18 - 23.5"
Limited lifetime warranty from Office Star. This chair normally ships within 7-8 business days from our CA warehouse.